Stick It Gymnastics is owned and directed by Sergey Ishkov. Sergey is a Professional Member of USA Gymnastics and AAU Gymnastics. He graduated from P.F. Lesgaft University of Physical Culture and Sport Science in St.Petersburg, Russia. In his college years as a team member, Sergey became one of the top students in college. He represented the University when he won the National Championships in the Pommel Horse exercise. Sergey moved to the USA in 2001 and became a head coach at the Vidalia Gymnastics Center in Vidalia, GA from 2001-2009. He was co-owner and head coach of the Zenit Gymnastics in Canton, GA from 2009-2013. Over the years, Sergey coached and produced over 164 State and National Champions, 18 Regional qualifiers and Champions, as well as 2 National TOPs Qualifiers. He has attended numerous Regional and National Congresses. For Sergey the best of part being a coach is to teach and watch the development of the children, not only as gymnasts, but into being productive individuals for life. He believes that the relationships that are built through the sport last a lifetime. 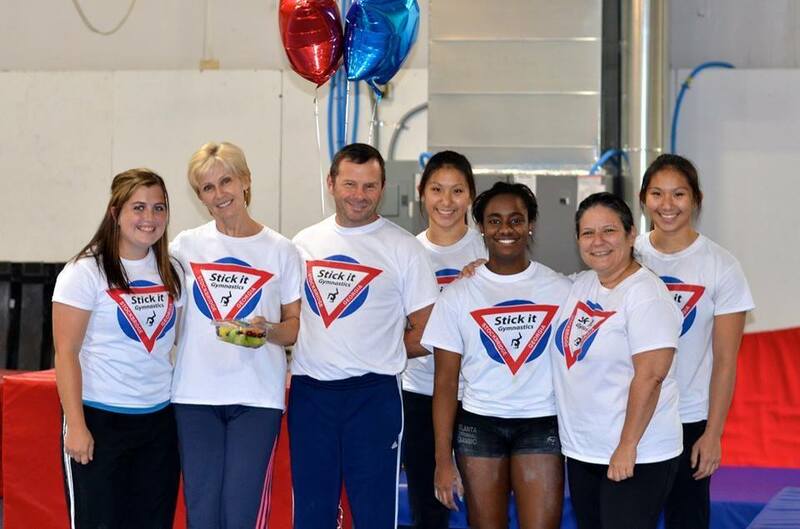 Stick It Gymnastics Founder & Women’s team coach, Marina Ishkova has been involved with gymnastics throughout her life. She started as a gymnast in Ukraine at 8 years of age. She competed successfully at the local, State, Regional, and National levels in Ukraine. She was a National team member of Ukraine. By the age of 14, Marina had become a Master of Sport for the Soviet Union Gymnastics program. By the age of 16, Marina had became a Master of Sport for the Soviet Union in Power Tumbling. Marina has coached successful competitive gymnastics since 1981. Her coaching experience comes from the Sport Club Olympic – Zenit (St.Petersburg, Russia) home of Elena Davydova 1980 AA Olympic Champion. Marina has a degree from St.Petersburg University in Physical Education. Marina was the assistant head coach at the Vidalia Gymnastics Center. 2001-2009 has been assisted head coach of the Vidalia Gymnastics Center. She was also a head coach at Zenit Gymnastics in Canton, GA from 2009 through 2013. Marina is a Professional Member of USA Gymnastics and AAU Gymnastics. She loves coaching gymnastics and hopes to be a positive influence in the lives of the girls she coaches.